This post is brought to you by Target, but all opinions and content are my own. Follow along with #TargetWedding. Please click here for my full disclosure policy. On the day I picked to register for wedding gifts, my mother and I headed out to a store with ideas about dishes and serving pieces and flatware. You know, all the traditional stuff that people register for when they get engaged. I, being the wonderful wife-to-be that I was, told my fiancé that he didn’t need to come with us. It was just going to be a mother-daughter outing. So we set out on our girls’ day. First thing to tackle was dishes. I didn’t love any of them, to be honest. One pattern was too busy. One, too floral. Another, too bold. Another, too much. I was like Goldilocks in the china department. I finally chose one, and then something odd happened. My face started to swell. My eyes started to swell. Like Robert the Rose Horse sneezes. Someone near us had on some perfume that I was clearly allergic to. I could not stop sneezing. It was awful. I ran to the bathroom and flushed my eyes and face with water, but to no avail. I looked like I had been inflated. I really didn’t like the dishes. They just weren’t me. Flash forward to my 40th birthday, when I decided to buy another set of dishes to replace the ones I didn’t like. Guess where the first set went? You guessed it. Anyway, I tell this cautionary tale because you can save yourself a whole lot of grief and a potential allergy attack by just going to Target’s Wedding Registry and registering for what you want from the beginning. These plain white dishes are just like what I ended up buying on my 40th birthday, to replace what I had registered for the first time. 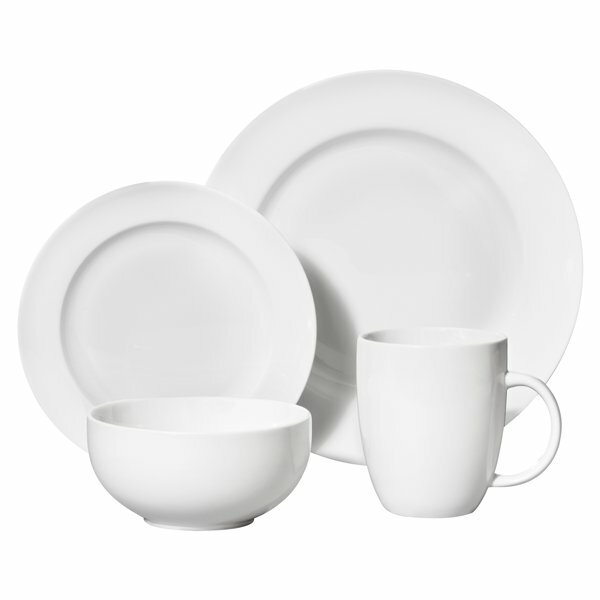 If you want dishes that go with anything, this is the perfect set for you. 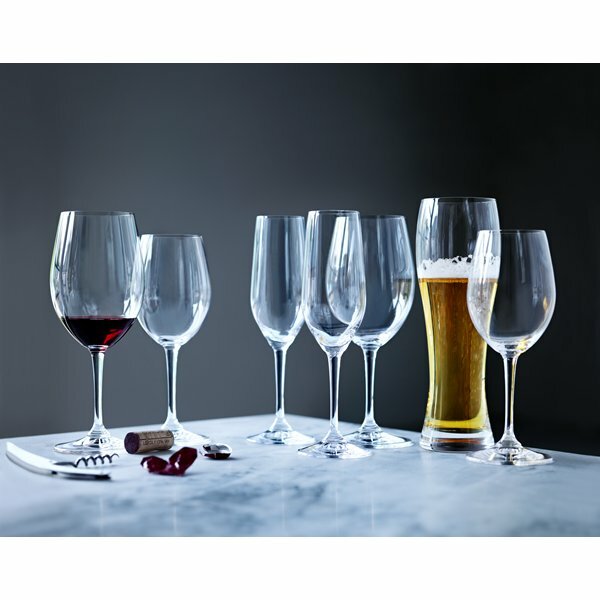 And you’ll need glasses to go with the dishes! Do you like to cook? Bake? 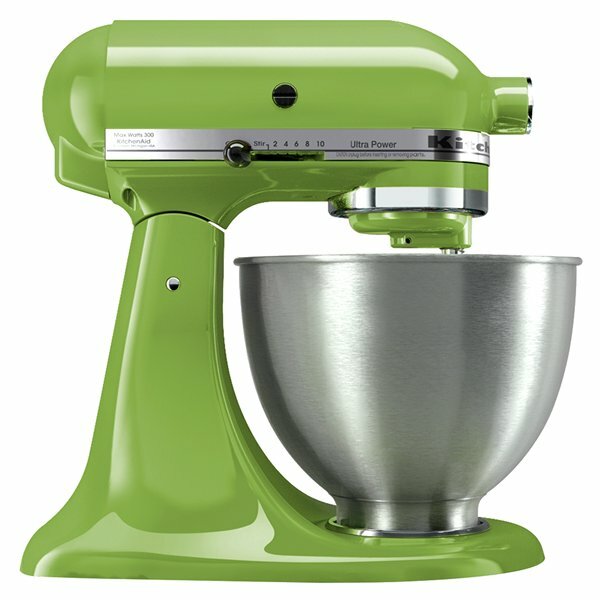 This Kitchen Aid mixer is the perfect gift to add to your registry. It comes in lots of colors. I’m just partial to the green one. I love my Kitchen Aid mixer. I LOVE my kitchen aid mixer. I don’t use it nearly enough but I’ve had it for almost 13 years and it is still going strong. I’ve won two, yes two, Giveaways in the last week…so maybe three is a charm? I would love a mini-chopper: http://wedding.catalogs.target.com/#/page/14 The link didn’t seem to want to come up, but I think this will do it…. Thanks for the great Giveaway and glad I saw this on FB!!! The Kitchen Aid mixer in the light blue color is my favorite!!! It’d make baking a lot easier for me!